I have one courgette plant growing in a big pot, so far I've had about 5 courgettes. I picked a couple on Friday night and sauted them with garlic and a red pepper. I don't normally buy this sort of ready prepared rice, but had bought it for our self-catering holiday and in the end we didn't use it. I thought it would be ideal for a quick supper dish. 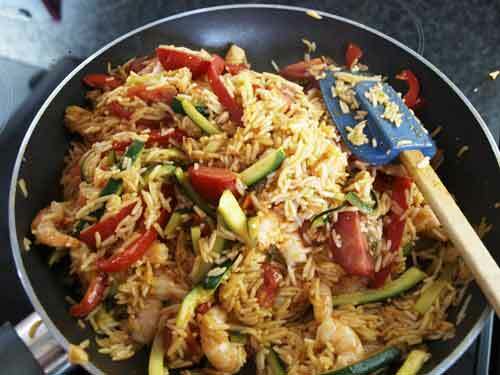 I cooked up a small amount of ordinary basmati rice and added it, as the packet wouldn't have provided enough for 3 people. 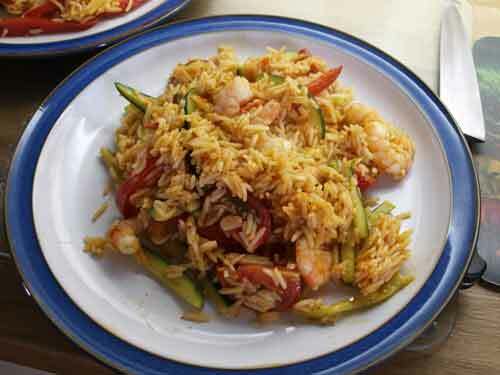 I added a bit of tomato puree, some sweet chilli sauce, some prawns and quartered tomoatoes. It was very quick and tasted good. I love prawns! 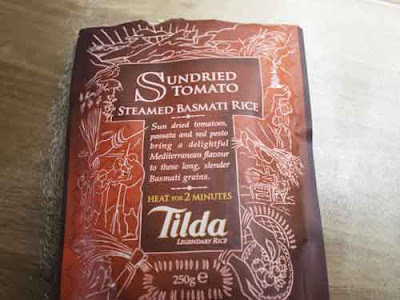 I have to say I have never tried the Tilda flavoured rice but it looks very good! This blog reflects my love of cooking, cookery books, blogs and recipe websites. 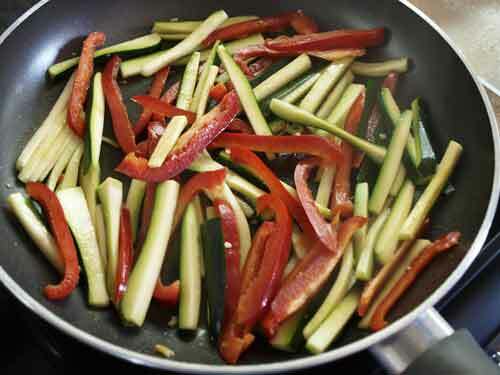 I love to eat, so welcome to my farm kitchen, come and see what I am cooking and eating today. The House of Menzies, Weem, Aberfeldy.